This device is about to steal the market with its capability to allow its users to move, run or brisk freely while shopping. Gita is one of its kind devices. 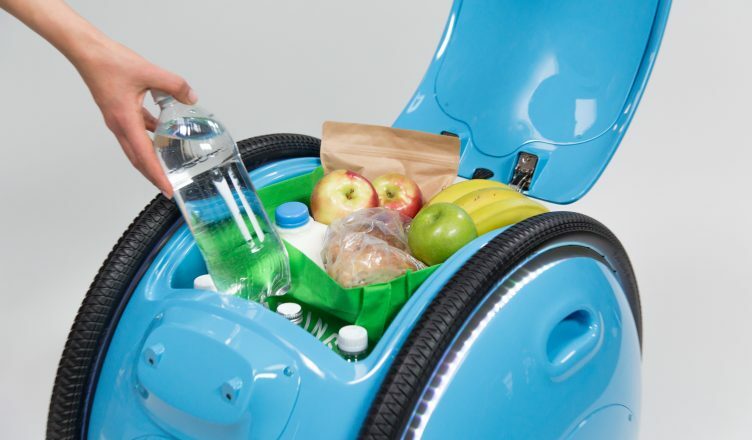 It can move automatically without getting distracted and while carrying stuff of its owners. Whether it be clothes bought from a store and lots of grocery for your kitchen, you can stuff all that in this round shaped device and carry it to your place without lifting any weight. Gita, as defined by its manufacturer, is an intelligent and nimble cargo vehicle. It has been specially designed and crafted while keeping the safety, braking, balancing and vehicle dynamics similar to that of a high-performance motorcycle in mind. This amazing creation by Piaggio Fast Forward creates a 3D map of its surrounding and simply follows the trails left by it wearable – that is YOU! The device has already been tested by its creator, but it is yet to be introduced to the public. During the tests, Gita proved that it can work independently, which means its owner doesn’t have to move with it to provide directions. Gita simply follows the 3D map and reaches the place safely and securely. Gita also has the capabilities to prevent obstacles between waypoints given that any features of the real world do not coincide with its existing maps. The round-shaped Gita looks pretty from outside and can carry lots of things. The device works in two modes – Follow and Autonomous. In the follow mode, Gita explores and learns how to navigate complex spaces by trailing its owner. As it travels it creates a 3D map of its surroundings. The Autonomous mode is used in an environment that has already been explored by it. In this mode, Gita detects and avoids obstacles meet waypoints. This cargo-carrying robot can move around carrying as much as 40 pounds of cargo. In case you have some cargo weighing more than that then you will have to wait for Gita’s brother Kilo that can carry a lot of weight. Here are some of the salient features of Gita that makes it a caring cargo robot. Simple: Using Gita is quite simple. All one need to do is tap a button placed on the top of it. Tapping the button will engage the Gita and it will start moving. 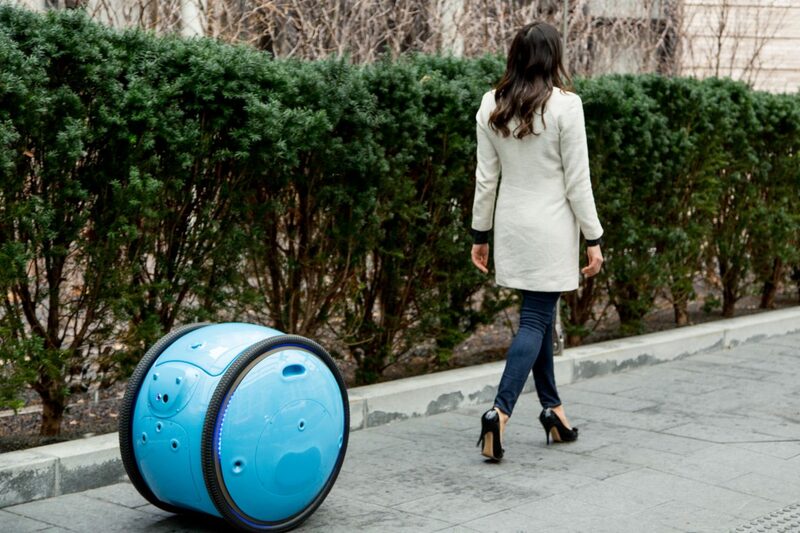 Expressive: This cargo-carrying robot is approachable and communicative. It communicates through lights and sounds. One can command it through its touchscreen interface. All Terrain: Gita can run on any surface whether it be a smooth or rough. It has large wheels similar to a bicycle. This enables it to operate on irregular surfaces. Fast: The gadget moves at a speed of up to 22mph. Therefore, there isn’t any fear of getting lost or behind while you enjoy your walk. It has an adjustable speed. You can adjust its speed to match it with yours. Never Lost: Gita doesn’t forget the pathway. It can never be lost. The device can locate you no matter where you hide – behind some trees or buildings. It will always catch back you. Secure: Gita knows how to keep stuff safe and secure. It has a secure lock system to protect the cargo inside it. It has a 360-degree camera and its movement is tracked 24 hours a day even if it is lying idle. Durable: The cargo-carrying robot can carry as much as 40 pounds of cargo at a time. It has a space volume of up to nearly 2,000 cubic inches, which is equivalent to a loaded rucksack, or two stuffed grocery bags. Long Range: Gita operates on batteries and it has the capacity to last for a full 8 hours at walking speeds. It can follow you tirelessly throughout the day. Gita is the light-weight delivery system specially crafted for the 21st-century cityscape. It is 26 inches tall and has the capacity to carry up to 40 lbs. The word ‘Gita’ means ‘short journey’ in Italian. This gadget is crafted to help people move hands-free and is capable of moving on any surface. It has a special mechanism that ensures the safety of the cargo and also ensures that Gita stays in touch with its owner. With the latest device soon ladies will be able to shop hands-free and men will be able to work without carrying a paper in their hands. The latest innovation is likely to be quite useful for all those who find it hard to carry weight. Gita can also be used in the workplaces for moving files and other documents from one department to another. It is an amazing innovation that is likely to change the way people carry their stuff.